Operated similarly to a ship dry dock, Ms.Lars is ideally suited to launching and recovering manned submersibles and shock sensitive equipment such as environmental sensors or electronic data collection devices. During operations, Ms.Lars is submerged by flooding its flotation tanks with water for a controlled descent to depths of 5 to 10 meters to avoid any surface turbulence. Once submerged below the effects of surface waves, Ms.Lars remains coupled to surface floatation with a patented system to provide a stable underwater platform from which manned submersibles such as Cyclops 1 can lift off of and then return to after each dive. 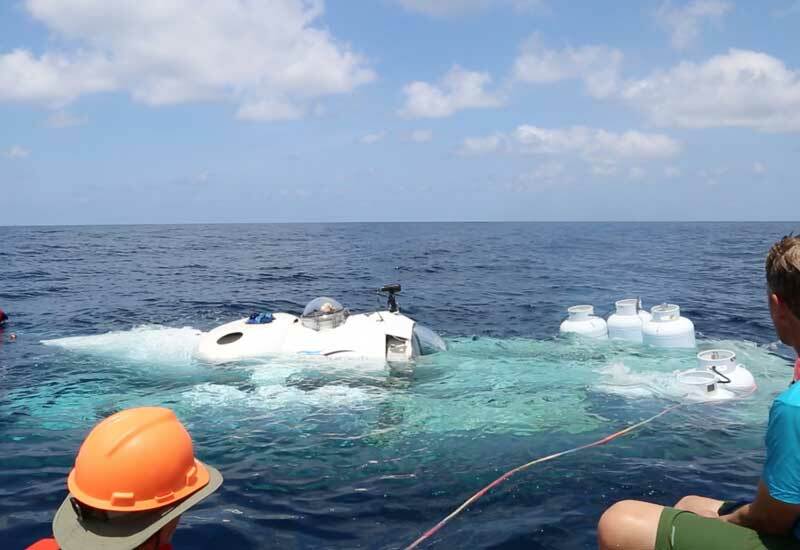 At the conclusion of the dive, the submersible lands on the submerged Ms.Lars and the entire system is brought to the surface in approximately two minutes by filling the ballast tanks with air. Ms.Lars was jointly developed by OceanGate and the University of Washington Applied Physics Laboratory and was designed to be primarily constructed of commercially available off-the-shelf components. 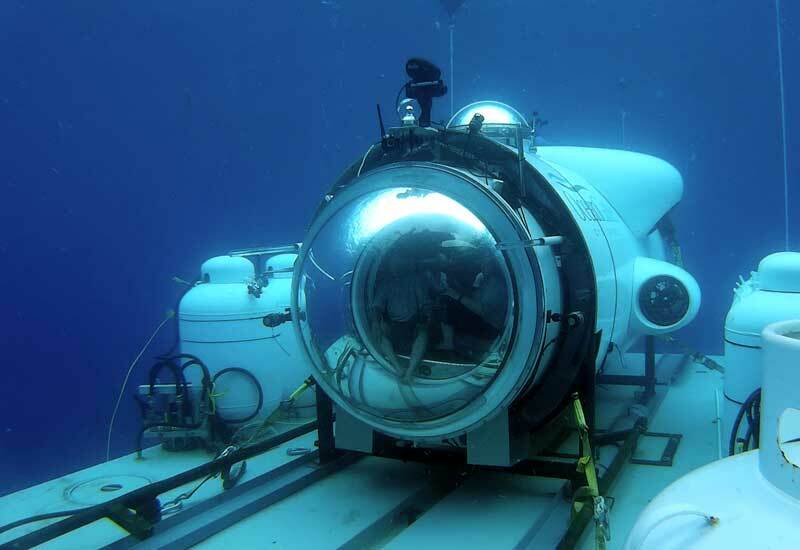 During the Flower Garden Banks Expedition, OceanGate deployed Ms.Lars at a dive site over 100 miles offshore and performed multiple successful launch cycles, including a Cyclops 1 deep dive to a depth of 457 meters (1500 feet). Ms.Lars provides a lifting capacity of 20,000 lbs. The vessel is 35 feet long, 15 feet wide, and draws 2 feet when fully loaded. Ms.Lars descent and ascent is controlled remotely from surface support vessel. Cyclops on Ms.Lars preparing for lift off.